Orange Blossom Honey 3 lbs. 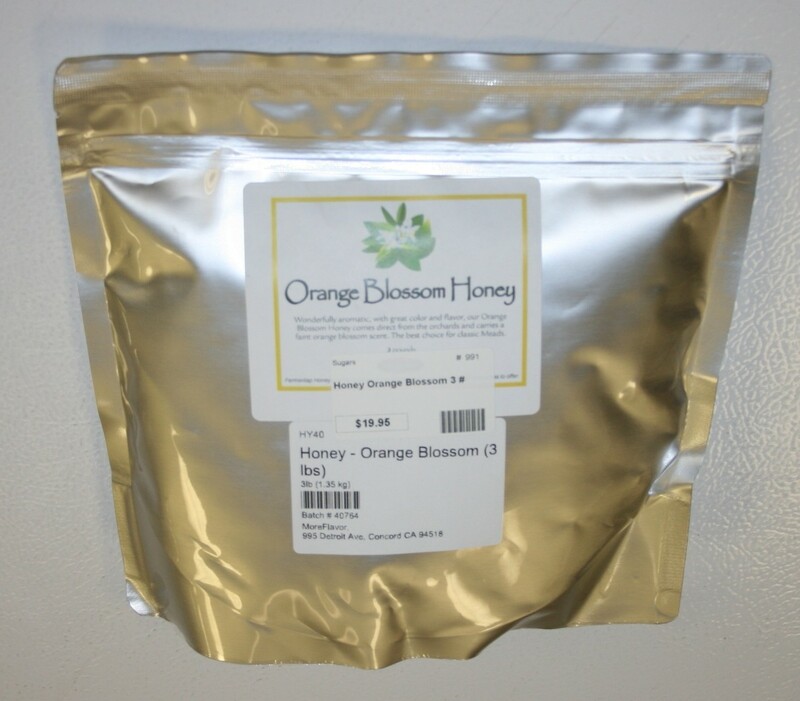 - Texas Brewing Inc.
Orange Blossom Honey 3 lbs. Great as a base for classic mead. Wonderfully aromatic, with great color and flavor, our orange blossom honey comes direct from the orchards and carries a faint orange blossom scent.